kuznianaklejek.pl > Fototapety>Kolekcje>POPART>Pop art portrait of model wearing red jacket. Girl has saturated make up with bright geometrical figures and fancy hairdress.Pretty beatiful woman. Posing on blue background. Pop art portrait of model wearing red jacket. 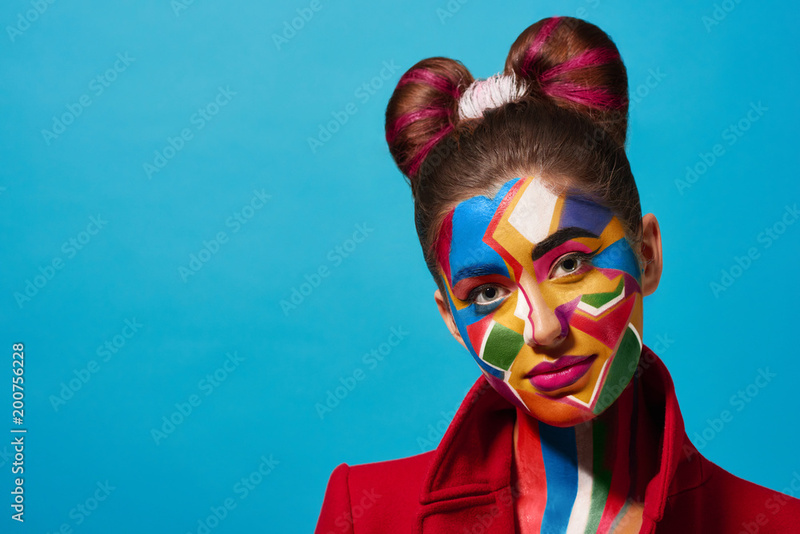 Girl has saturated make up with bright geometrical figures and fancy hairdress.Pretty beatiful woman. Posing on blue background.